In the past, the forests covered most of the Earth. Today, only a small part of them has been preserved, because of man's need of wood and of spaces dedicated to agriculture. However, woods are essential for the environment: they produce oxygen, offer shelter to many animal species, and enrich the landscape. Moreover, their presence is very important on the mountains, where the rain-water, if not stopped by wood vegetation, can cause washing away and landslides, sometimes also damaging the valleys below. The elements which can give life to a forest are four: first of all soil and climate, then vegetation and fauna. The plants are nourished by the ground. Also the most fertile ground originates from the rocky surface, which has been shaped during the centuries by atmospheric and chemical agents, and by vegetation and fauna which began to give life to it. Not only the wood needs the ground to grow, but also the ground and the whole ecosystem need the forest in order to protect itself. The vegetal species can vary according to the different kind of ground and of climate. In the same way, the plants influence the ground and the climate: just think about the lower temperatures and the higher level of humidity you can find in a wood. Therefore, the factors determining a wood can change and influence one the other; in this way, they create a constantly unstable balance. In Aspromonte there are many forests: they cover about 40,000 hectares and reach the highest mountains. 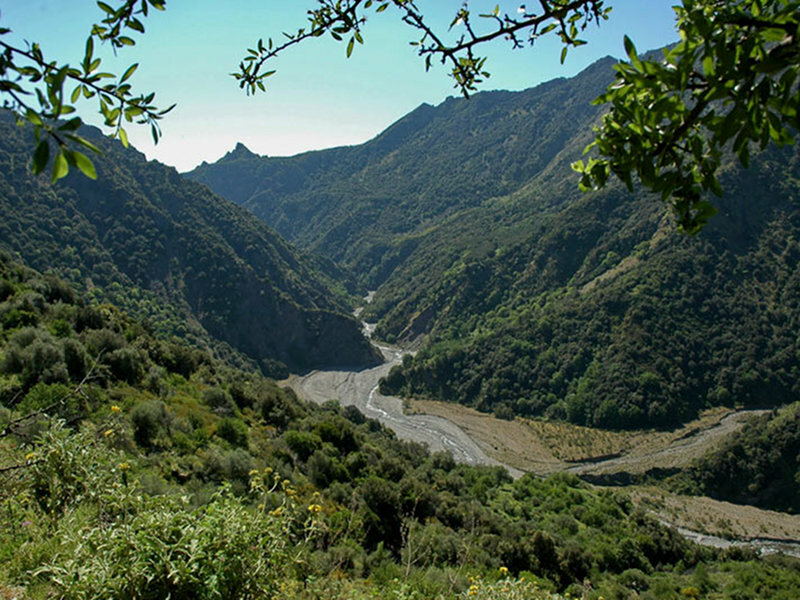 The Massif of the Aspromonte, situated between the Ionian and the Tyrrhenian Sea, has several mountains reaching 2,000 meters (the Montalto is the highest one: 1,955m). From these summits it is possible to see the Etna and the Aeolian Islands. The steep rocky walls surround narrow and suggestive valleys animated by impetuous streams which, on their way, collect the water of wonderful waterfalls. Between the sea and the massif, only a narrow stretch of land remains, which is in some points interrupted by some overhanging promontories (Mt. Sant'Elia is the most spectacular one). Sometimes this piece of land can widen, creating for example the Plain of Gioia Tauro, which with its 400 Km2 is the widest plain in Calabria. The lake Rumia and the lake Costantino - the latter originating from a landslide which blocked the course of a stream - offer us suggestive landscapes near Gambarie and in the valley of the Bonamico. Upstream the village of San Luca, it is possible to see many monolithes emerging from thick ilex groves; it is the valley of the Big Stones: Pietra Cappa, Pietra Castello, Pietra Lunga, etc. Near Natile, because of rupestrian settlements, the landscape reminds us of Cappadocia. In the northern-western area of Aspromonte, the plains of Zervò and Zomaro are worth a visit. Huge woods are one of the greatest naturalistic heritage of Aspromonte, since the vegetation includes all the typical plants of the Mediterranean basin. Also the fauna has the same naturalistic value. 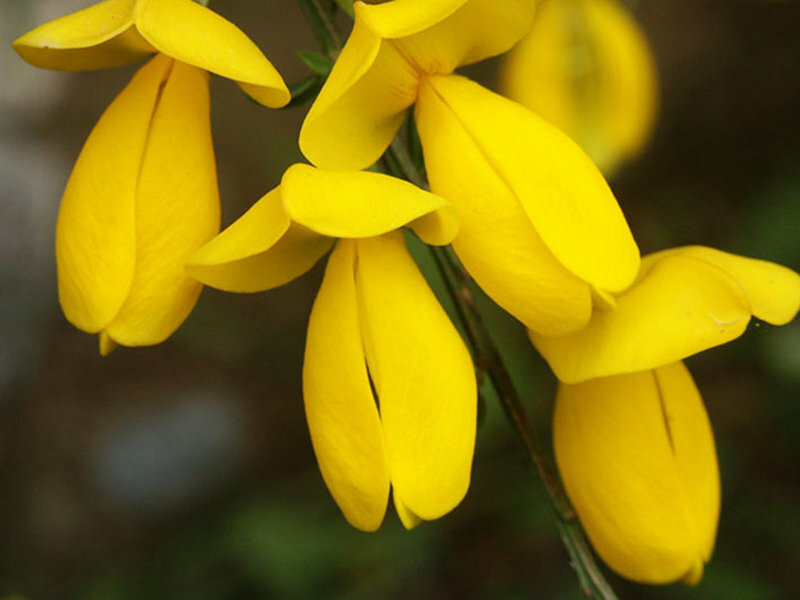 There are widespread and rare species, despite some of them have disappeared some years ago. 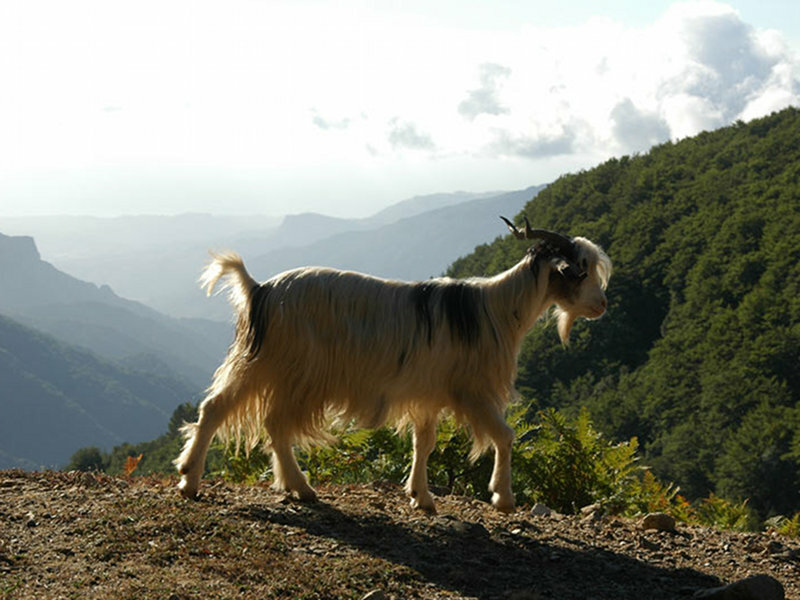 Since they are protected by the vegetation and by a Mediterranean climate, many animal species have found their ideal habitat in Aspromonte. The Park houses many birds, among which the Black Woodpecker, a not very common species which is spreading in the massif. He creates regular holes in the bark of the trees. The birds of prey are the most important element of the vertebrate fauna of the Aspromonte; it is possible to find here the Golden Eagle which has recently come back to nest in the area thanks to the establishment of the Park and to the reduction of the noises produced by man. It is very important the presence of the Eagle Owl, which is the greatest European nocturnal bird of prey, and can reach 3 kg of weight and 180 cm of wing span. Another bird of prey is the Short-toed Eagle, with dark plumage on the back and white on the lower part. It is a day bird and it has a wing span of about 2 meters. In the Aspromonte woods, the Goshawk and the Sparrow Hawk have also been found, while among the birds of passage there is the Honey Buzzard. As far as mammals are concerned, the mountains of Aspromonte offers an ideal shelter for the wolf, which is reproducing and spreading in the Parks of the Calabria region, and for the wild cat, which is different from the domestic one because it is bigger, it has a bushy and grey-black fur with evident stripes on its sides and a short and large tail with dark and clear rings alternating. Among the other mammals, there are the forest dormouse, a rodent living in Calabria and in the eastern Alps, the arboreal marten, and the nice black squirrel, very particular for the color of its mantle that is black instead of red-brown. 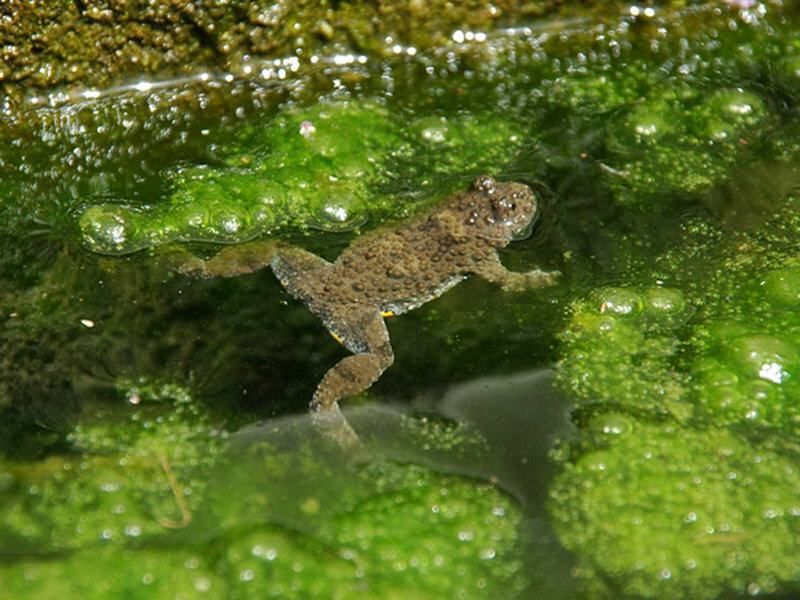 Among the other vertebrates we find some amphibians which are exclusive of the Italian fauna, such as the spectacled salamander, and among the reptiles the quiet but threatened Hermann's tortoise. Therefore, the fauna completes the most important naturalistic heritage of the Aspromonte which the Park protects and preserves. 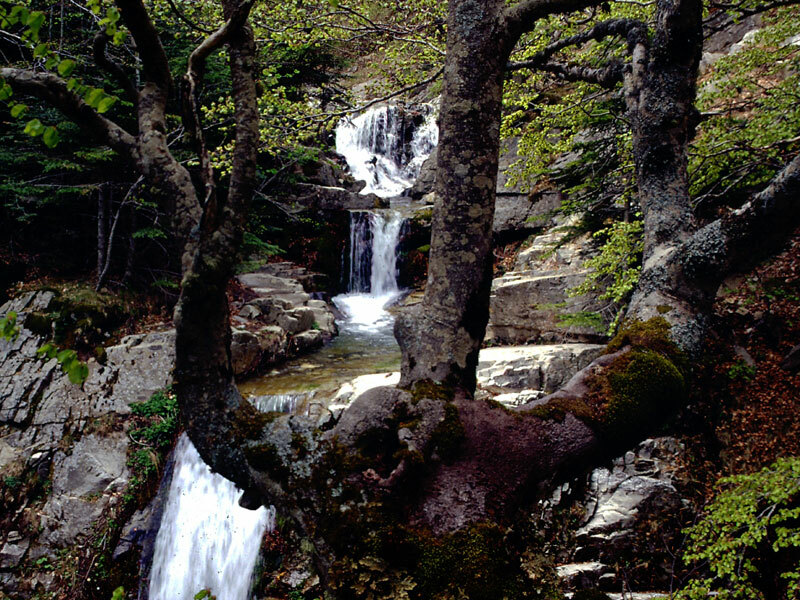 The climate of the Aspromonte, which from temperate along the coast determines cool, rainy, and snowy winters and wet summers at high altitudes, leads to the presence of a rich and various vegetation. The lower area, which is evergreen and characterized by olive-trees, citrus fruits, and by the Mediterranean maquis (broom, cyst, strawberry tree, mastic tree, holm oak, and myrtle) is followed by an area characterized by chestnut trees up to 1,000 metres, and by maples, ash trees, black and Neapolitan alders up to 1,200 metres. In particular, we notice differences in the vegetation going from the Tyrrheanian coast to the Ionian one. On the mountain slope of this area there are several kinds of oaks, from the common oak and the downy oak to the Hungarian oak. On the Tyrrhenian slope, where the humidity is higher and it rains frequently, beech forests dominate from 1,200 to 2,000 meters, while silver fir forests dominate between 1,000 and 1,700 meters. In the valleys of the Tyrrhenian slope there is the tropical fern Woodwardia radicans, which can reach 2 meters of height; it is a typical tropical variety which can live in Aspromonte at 200-400 meters thanks to the great humidity, the scarce light, and the lack of temperature ranges. The variety of the flora creates a unique atmosphere, above all during the winter, when the red and yellow colors of the beeches dominate. Not only nature, but also man's activities transform the Aspromonte into a unique place. In particular, the flourishing craftsmanship has handed on to present times ancient techniques and knowledge. Many agricultural and pastoral tools are made of wood (cheese moulds, collars, spoons, etc.) and also musical instruments like tambourines and bagpipes. As far as pipes are concerned, they are obtained from the root of the arboreal heather of Calabria, which is considered the most precious wood in the world for this aim. Some bowls are sold to Italian and foreign factories, mainly English. They create pipes destined be exported under different trade-marks. In Greek countries and most of all in Samo, where a characteristic dialect similar to the ancient Greek is spoken, the weaving activity gives life to colored Byzantine-styled fabrics, called "pezzare", and to very resistant broom blankets. In Gerace, the production of laces made with crochet work and with lace pillow is particularly interesting. 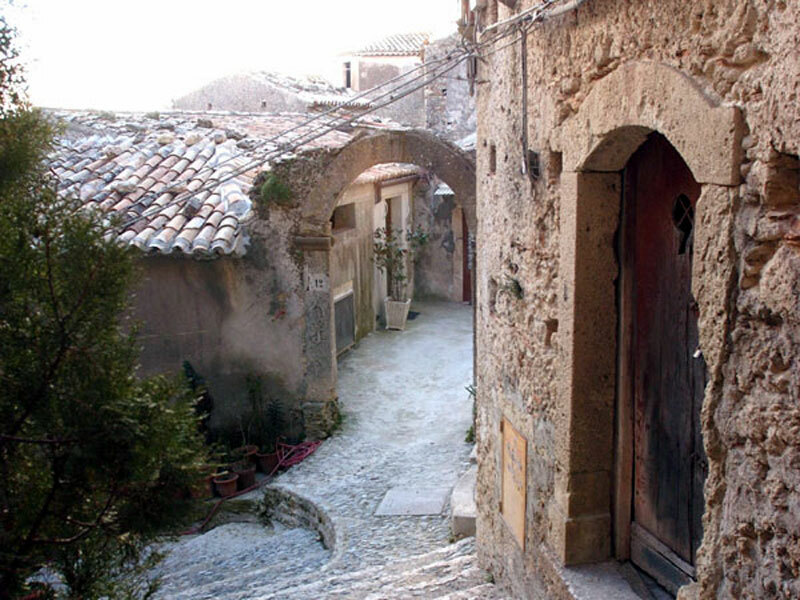 Gerace is also an important center for ceramics. There is a great demand for this kind of goods: Roman and Greek amphoras, watering cans, whistles, pine-cones for gardens, etc. Also religiosity and folklore are famous beyond the borders of the Calabria region. 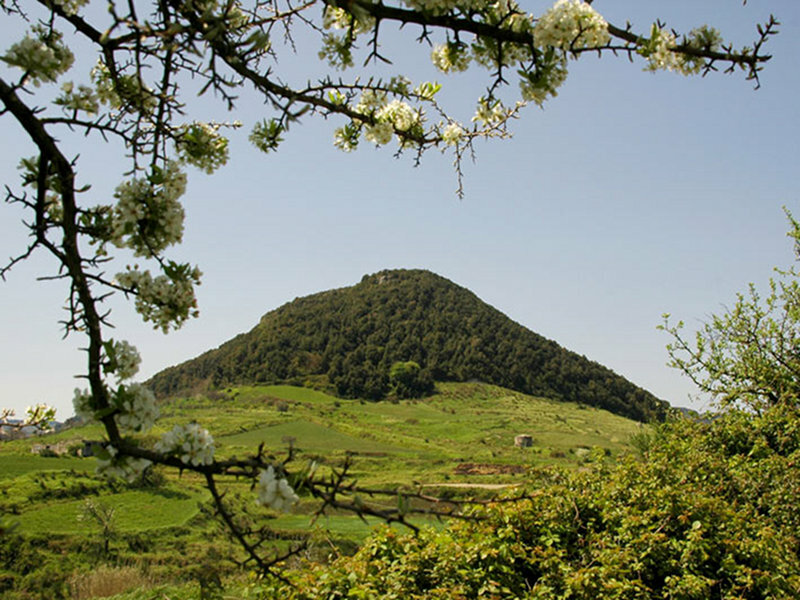 In Aspromonte there are many monasteries and sanctuaries, among which the one of Polsi, the most known: thousands of pilgrims go there every year to prey the Madonna della Montagna. After the visit, there is usually a great feast made of rich lunches and popular dances.